Thank you to The Business Times and journalist Ceah Ui-Hoon for this review of GALA! Bel’s “experiment” certainly shook up the contemporary dance scene by breaking down what’s standard about it – to give us individualisation pf dance and the individual’s interpretation of movement and personal style. 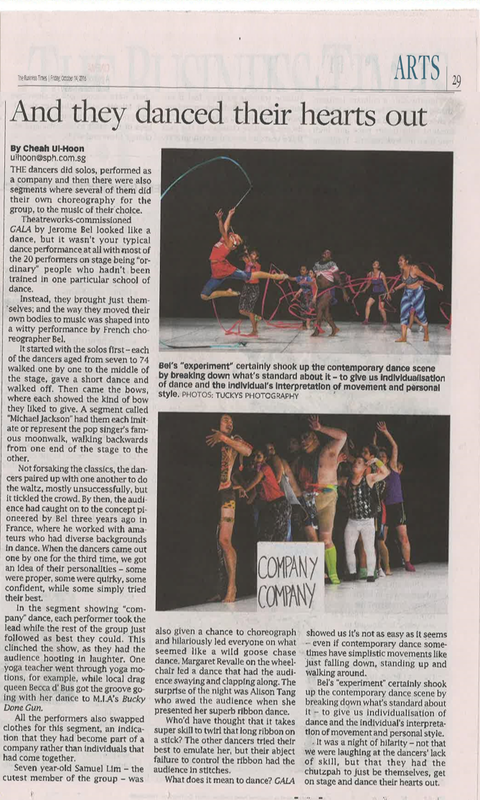 It was a night of hilarity – not that we were laughing at the dancers’ lack of skill, but that they had the chutzpah to just be themselves, get on stage and dance their hearts out.